Is this the end of cheap mortgage deals? In the past 12 months, mortgage costs have increased from historic lows, but it’s still possible to find a cheap deal by doing your research and shopping around. That’s especially the case if you’re searching for a five-year fixed-rate deal or a 95% mortgage, where rates remain incredibly competitive. Here, we explain how mortgage costs have changed in the past year and offer advice on finding the best home loan. Whether you’re a first-time buyer or home mover, you can get expert help finding the right mortgage by calling Which? Mortgage Advisers on 0800 197 8461. In the last 12 months, both fixed and variable-rate mortgages have become more expensive. A year ago, fixed-rate deals were just starting to rise from historic lows, and prices have increased steadily over the last 12 months, with two-year deals now 0.2% more expensive. Five-year fixes, however, have risen in cost at a much slower level. In November last year, the Bank of England base rate increased from a historic low of 0.25% to 0.5%, before rising again to 0.75% in August 2018. As you might expect, this means deals that are priced depending on the base rate (such as offset and tracker mortgages) have gone up in cost, although by significantly less than the 0.5% base rate rise. The number of fixed-rate deals available to first-time buyers and home-movers has increased in the last year. There are 15% more mortgage products at a 75% to 95% loan-to-value ratio (LTV) than this time last year, with the number now standing at 2,610. In terms of cost, it’s been a good year for first-time buyers with small deposits, with 95% mortgages now around half a percent cheaper than they were a year ago. This is the only LTV level where this has been the case. The chart below shows how costs have changed at different LTVs in the last year. While variable-rate mortgages have become more expensive, they’re still very competitively priced. That said, before choosing a deal it’s important to factor in the likelihood of further base rate increases in the next few years, and of course the ongoing economic uncertainty caused by the Brexit process. 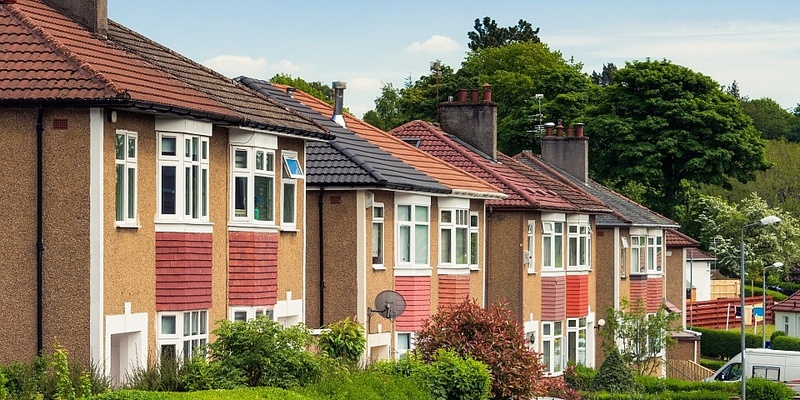 The estate agency Savills predicts that the base rate could rise as high as 2.75% by 2023, so buyers or homeowners who are remortgaging should think carefully before tying themselves into deals that move in accordance with interest rates. Could variable deals absorb a base rate rise? That’s cheaper than the lowest-priced 75% fixed-rate deal (also from Leeds at 1.44%**), but a further 0.25% base rate increase (which would increase the price to 1.63%) would mean this mortgage would only be competitive rather than market-leading. Find out more: discover how an interest rate rise could affect your mortgage repayments by using our mortgage interest calculator. In 2017, mortgage lenders scrambled to outdo each other on 75%-90% LTV deals, resulting in historically (and unsustainably) low prices for consumers. Now, the focus is on 95% deals – and because lenders are unwilling to cut rates much further, they are instead beginning to offer cashback as a different way of differentiating themselves from competitors. Research by Moneyfacts shows that 29% of residential deals now offer cashback incentives, up from 26% last year and 22% two years ago. Don’t overreact to rate rises: while mortgages have become more expensive, it’s still possible to get a good deal if you shop around. Some products, such as five-year fixed-rate deals, have only seen very small increases in price over the past 12 months, so don’t feel like you’ve missed the boat. Consider saving a bigger deposit: the gap in cost between 90% and 95% mortgages has decreased significantly from 1.5% to 0.8% in a year, but that doesn’t mean it’ll keep narrowing. Deals at 90% LTV are still significantly cheaper in the long run, so if you’re a first-time buyer with a small deposit, consider whether you could save a little more. Don’t be drawn in by headline rate: the headline interest rate is only one aspect of the cost of a mortgage. Consider upfront fees (which can range from nothing to thousands of pounds), incentives and the overall cost of the deal (the APRC). Consider your circumstances before taking a risk: as we mentioned earlier, it’s still possible to get a cheap variable-rate deal, but with economic uncertainty around Brexit and the possibility of further base rate increases, you’ll need to think about whether now is the right time to take a risk. Look at alternatives but don’t get carried away: 100% mortgages and loans at six times annual income have been hotly discussed in recent weeks, but these types of deals have their own drawbacks. You should also do your research before depending on schemes such as Help to Buy or shared ownership. One of the best ways to ensure you find the right mortgage deal is to speak to a whole-of-market mortgage broker and get impartial, expert advice on your options. A good broker will also be happy to advise you on saving for your first property, the pros and cons of government schemes and different types of mortgage. For a free chat with an adviser, call Which? Mortgage Advisers on 0800 197 8461 or fill in the form below for a callback. *Reverts to SVR -1% discount until January 2024, then standard SVR currently set at 5.69%. Fee of £999. APRC 4.8%. **Reverts to SVR -1% discount until January 2024, then standard SVR currently set at 5.69%. Fee of £1,999. APRC 4.9%.